Tired of the same old same old hair cut, color or style? 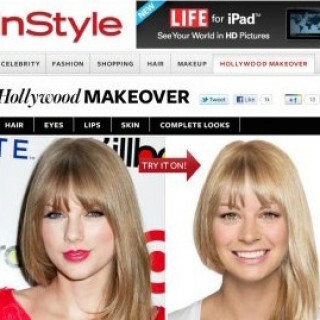 Head over to InStyle to get a free virtual makeover online. You can choose from popular hair styles of your favorite celebs and see how they’ll look on you before you do anything drastic. This sounds very fun. Thanks for sharing! My daughter and I would have so much fun doing this! I’m always looking for a new haircut and this would take the pain out of it!